August is upon us and for most families, it is back to school for the little ones! Did you know that the way your children’s backpack fits can affect their health over the school year? Let’s explain. Ideally, kids should only carry 7-10% of their body weight in their backpacks. In other words, a 75lb child should only have between 5.25 and 7.5 lbs of books, paper, pencils, etc. in their bags. These days, kids are carrying way more than that, usually 15% of their body weight, which is causing many problems with their health. 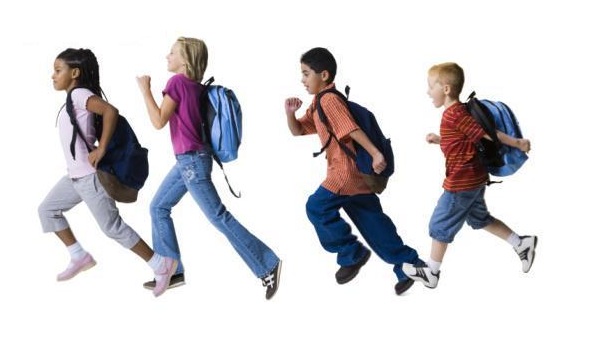 For kids in grade school through high school, backpacks can range from 11.5lbs to 22lbs! Imagine what that does to their backs having to carry that much every day! Heavy backpacks alone can do a lot of damage; but one that is not fitted properly can do even more. When a child’s backpack is too heavy, they tend to bend forward and hold their head anterior to the spine. This posture is detrimental to the health of their spine because it puts a lot of stress on the cervical vertebrae in the neck and the vertebrae making up the cervicothoracic junction. Over time, this anterior head carriage will change the shape of the natural curve in the cervical spine, causing further changes to the discs between each vertebrae. Because of these changes, there is a greater chance of prolonged nerve irritation that can have major affects on the child’s health. 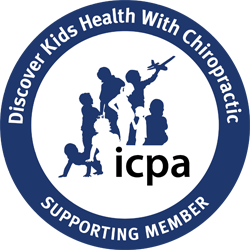 Many kids experience headaches, lack of concentration, brain fog, insomnia, and various other conditions that have a lot to do with the cervical vertebrae being out of alignment. The constant bending also can encourage rounded shoulders, a decrease in the natural curve of the low back, and stress on the vertebrae in the lumbar and sacral regions. When children use one-shoulder backpacks, all the weight of the backpack is concentrated to the one side, creating asymmetry in the spinal muscles. Many kids already have a curvature of the spine, known as scoliosis. Wearing the backpack on one shoulder could increase an already diagnosed scoliotic curve or cause a minor curve to develop into a major curve. Asymmetry in the spine can cause subluxations putting the child further at risk for health problems such as digestive issues, allergies, asthma, UTIs, bed wetting, and migraines. To prevent your child from experiencing any of these problems, read on for some backpack safety tips. And don’t forget to get your child’s spine checked by their chiropractor to make sure they are fully functioning for the new school year! 1. Carry the heaviest items closest to the back. 2. Use two-strapped bags vs. one-strapped over-the-shoulder bags. 3. Tighten straps so the top and bottom of the backpack lie between the shoulders and buttocks. Make sure the backpack is a good fit. 4. Pack as light as possible. Figure out what books really need to come home each day and what can stay either at home or at school. 5. Use folders vs. heavy binders to keep papers straight. 6. Wear two-strapped backpacks on both shoulders instead of on one and utilize the waist strap if your bag has one. 7. Make an effort to use good posture while wearing the backpack. Try to not lean forward or jut your head out in front of your body. 8. Pick a backpack with padded, wide straps and a padded back for comfort. 9. Try a rolling backpack as an alternative to bulky backpacks if carrying a heavy load is unavoidable. 10. Lift with your legs when picking up the backpack and putting it on your back.